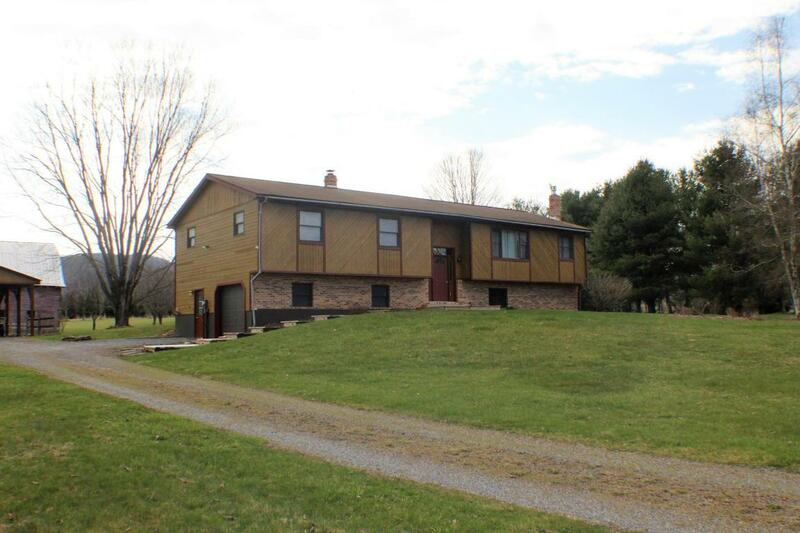 Beautiful 4 bedroom, 2 bath split level home with over 2000+ finished sq. ft. of living area. Home offers a new remodeled kitchen, geo thermal heating system, UV water system and wood floors. Great mountain views from this 5.90 acres that is mostly all level, nice large barn, numerous fruit trees, strawberry and blueberry patch and so much more that this home has to offer! !